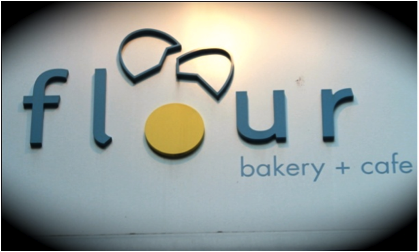 Flour Bakery is owned by Chef Joanne Chang whose victorious sticky buns were made famous by Food Network’s Throwdown! With Bobby Flay. 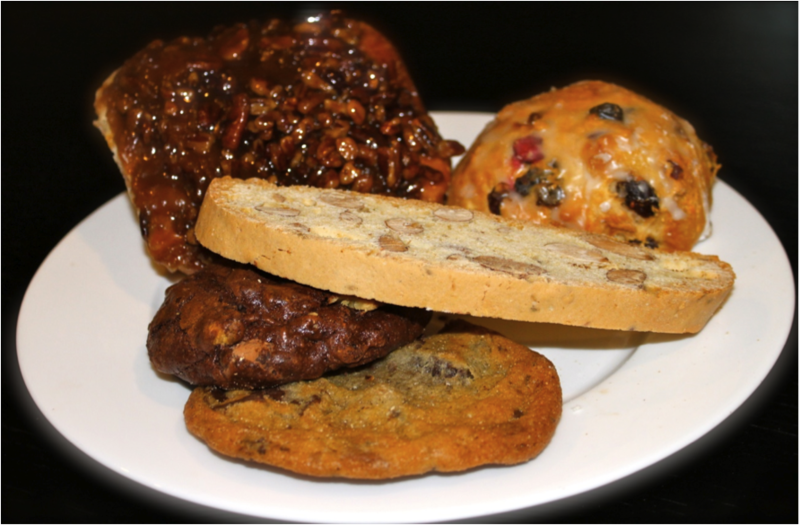 Decadent pastries and baked goods are not all you’ll find here. In addition to the wide array of indulgent goodies (including a couple of vegan options), the menu also boasts a selection of hearty sandwiches, soups, and pizza. They even sell their breads, house-made granola, and of course Chang’s famous Flour cookbook. And if that’s not enough, you can take one of their popular demonstration classes for $65. I recently visited the Fort Point location, which is found right behind the Boston Children’s Museum. There are two more locations, the original in the South End and a third location in Central Square. If you stop in the Fort Point location on a weekend, good luck getting a table. The place is small and has regular and high tables, as well as some bar-style seating at the window. Most tables seat either two or four and there is one long table for big groups. Don’t be surprised to see families bring their kids in for lunch after visiting the Children’s Museum, and it can get a bit noisy. If you go around lunchtime on a weekday, expect the line to be to the door. But most people are grabbing sandwiches and soups to go on their lunch hour, so you will have your pick of seats. Even though it’s crowded, the line moves fast and the service is very efficient. On my most recent visit to Flour, I had my mind set on their roast beef sandwich and cinnamon sugar brioche. When I reviewed all the delightful treats behind the glass, it turned out they were out of the brioche, but I settled for the ‘heart-healthy’ dried fruit scone. My husband, Kamal, went for the apple spice cake and we both got a coffee. With a house full of guests visiting us for the long weekend, we decided to buy a box full of treats to take home, including the famous sticky bun, some cookies, and almond biscotti. 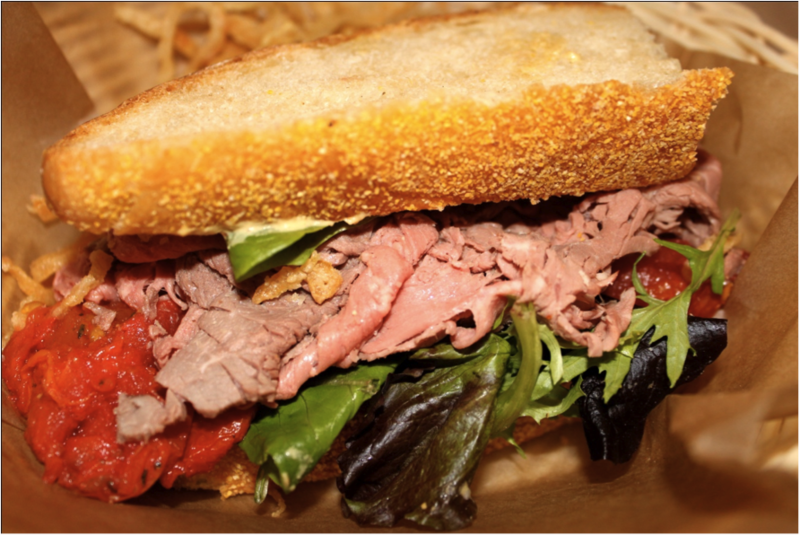 The roast beef sandwich comes with roast beef, mixed greens, marinated tomatoes, fried onions, and horseradish mayonnaise. You can get the sandwich grilled, though they charge an extra 50 cents for this. The bread is sliced thick, and my sandwich was so large I wasn’t sure how I was going to get a bite in without destroying the whole thing. I opted to swap Dijon mustard for the horseradish mayonnaise, which I thought paired well with the thinly sliced, medium-rare roast beef. The fried onions also accentuate the flavor of the beef nicely, though I had to take out about half of them to make the sandwich more manageable. If you are not a fan of roast beef, the roasted lamb sandwich is another menu hit. It comes with tomato chutney and goat cheese, which makes for an amazing combination. If you get the sandwich grilled, the warm goat cheese and roasted lamb makes for a rich and heavy meal. Sandwiches can be ordered by the half, or as a salad, and there are also several vegetarian options, including a vegan grilled tofu. If you are a die-hard carnivore, I challenge you to give this a chance! I guarantee it will satisfy your appetite. My husband and I both enjoyed our desserts, though I didn’t like the ginger chunks in my scone. I actually preferred the moist spice cake with its apple chunks, cinnamon, raisins, and powdered sugar. If you’re craving a sweet pairing for your coffee, this won’t let you down. 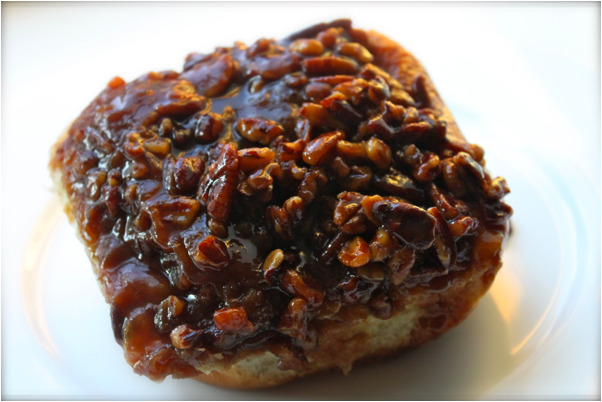 I think everyone has to try the sticky bun at one time or another too, even though I always find the pecan topping a little too sweet for my taste. Flour is a casual café, and the prices are comparable to most bakeries and cafes. No matter what you get, you won’t be disappointed, and the food is well worth your money. 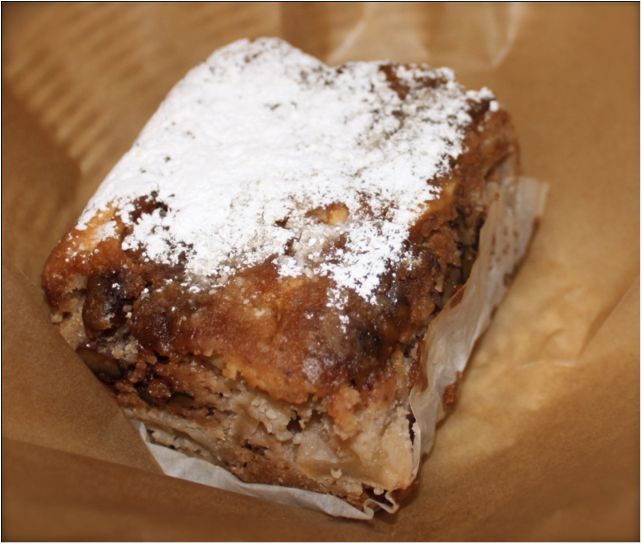 Venture on over to one of the three locations and try the famous sticky bun! Alisha is in her second year at the Friedman School as a dual Nutrition Communications/DPD student and is excited to soon become a Double Jumbo. She is a true California girl, enjoys traveling, food, and fitness. She likes to create her own, healthy versions of recipes that she records on her blog SavortheFlavour.